It’s October – the time of year to argue about pumpkin beers, whether Oktoberfest beers should be year-round, and what the difference is between fresh hop and wet hop beers. It’s also time for the annual Great American Beer Festival® (GABF) medal recap! For those who want to read previous iterations of this post, take a look at these links for the 2014, 2015, 2016, and 2017 versions. You can also find the full list of 2018 GABF winners here. Before I begin, I’ll add the same caveat that I do every year: the geographic data presented here may have a few quirks for groups with breweries that have multiple locations across states, so it may not be 100% accurate. I started these posts a few years back to dispel a common myth: that certain states have an advantage in the GABF competition due to their geographic location. As we’ve seen over the years, there isn’t any relationship between distance from the event and the likelihood of winning. The best predictor of how many medals a state wins is how many beers they entered, controlling for which categories they entered. 2018 was no exception, with an r = .972 correlation between expected medals won and medals won by state. Expected Medals Won: Takes into account the difficulty of the categories that were entered. So for example, a state that entered a bunch of beers into categories with 400 entries is expected to win fewer medals than a state that with the same number of beers entered in categories with 100 entries. From these leading states, it’s pretty clear that the West Coast had a banner year. CA, OR, and WA accounted for 26.3% of GABF entries, but won 35.9% of the medals. Who else over-performed? Although it didn’t have as many entries as these larger states, I think it’s worth also calling out South Carolina. South Carolina breweries entered 73 beers. Based on the categories they entered, if it were random, you’d expect them to have won 2.7 medals. South Carolina breweries won 7. That’s three more than the state won in 2014-2017 combined. Pretty impressive. 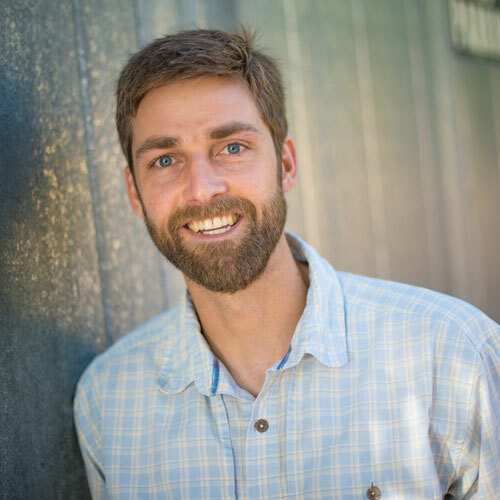 Once again, an increase in the number of entries (which was larger than the increase in the number of medals) meant that 2018 was the most difficult year on record to win a medal in the GABF competition, with the generic odds of winning dropping from 3.7% to 3.6%. Without considering which category was entered, a brewery that entered four beers still only had a 13.7% chance of winning a single medal, and even a group that entered 20 beers only had a 50/50 shot of winning a medal. That makes it all the more impressive to see some breweries win multiple medals, and also to see brewers who repeated medal wins from previous years. Given the low odds, it truly shows their ability to consistently make world-class beers. 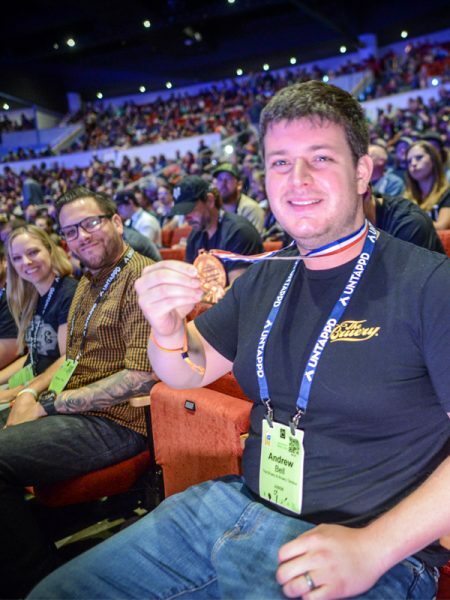 Although I think I’ve pretty clearly established that the number of medals entered broadly translates into the number of medals won, a question came up this year about different levels of regional participation in the GABF competition. 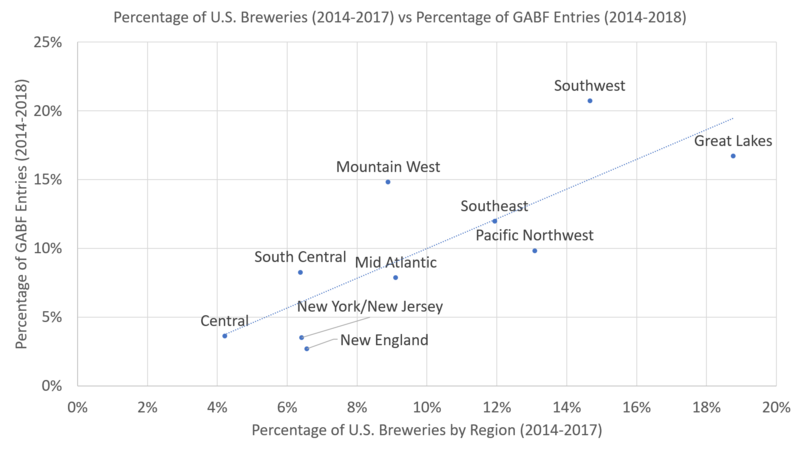 The graph below shows GABF entries by region (from 2014-2018) compared to how breweries are distributed around the country (using 2014-2017 data). I’ve used the 10 standard Federal regions as a basis for dividing up the states. To me, this reveals a couple of things. First, broadly, GABF draws breweries from all parts of the country more or less in line with the number of breweries in that region. That said, there are a couple of regions that participate more than you’d expect based on the number of breweries in that region, and others that participate a bit less. More specifically, the Northeast tends to send fewer entries relative to their number of breweries, whereas the Mountain West and Southwest send more, both of which make geographic sense. I’ve used 5-year data, but the numbers are pretty consistent if you picked individual years. For example, New England sent 2.7% of the entries from 2014-2018 (while being 6.6% of the breweries), and 2.7% in 2018 (range was 2.6-2.9%). Here’s the 5 year data-table. As a final variable, I looked once again at winners by size category. This data also has a few issues, since breweries don’t always report their production by location (sometimes just by group), but I’ve cleaned it to the best of my ability. This year, I broke the group into three categories: New-1,000 barrels, 1001-15,000 barrels and 15,001+ barrels. The results are very consistent with 2017. Regionals overperform and breweries under 1,000 barrels under-perform, but they still win a heck of a lot of medals. The median entrant in this year’s competition dropped to 900 barrels (it would be a bit larger if we used 2018 production, since there are a lot of zeros for new breweries) and the typical winner was only 1,600 barrels. Basically, there is lots of good beer out there, from breweries of all sizes. I’ll cheers to that!